This category features excerpts from our book, WordPress 3 Search Engine Optimization, as well as news, errata, and updates on upcoming revisions. This article, Authority Links: What They Are and Why You Want Them, is an excerpt from our upcoming book, SEO for WordPress. Should You Disallow Old Link Structures With Robots.TXT? Questions from Readers: Jeff asks us, will using the Robots.TXT file to disallow the duplicate content in the archives page hurt his indexing? Are Site-wide H1 Tags in WordPress Good or Bad? Questions from Readers: Robert asks, is a sitewide H1 tag, repeating duplicate content in the header or separate section, harmful to Google rankings? Our book, WordPress 3.0 Search Engine Optimization is out on the stands of all the upscale local bookstores and online retailers in your neighborhood. But why buy before you try? Here's on page out of the whole volume to give you a taste of the SEO tips and strategies that you're missing. 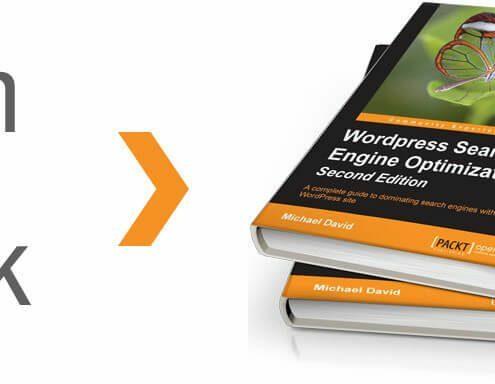 Let's whet your appetite for our SEO for Wordpress book in advance of the release date. This is a truly awesome excerpt because it talks about robots. The robots.txt file that is. SEO Master Class: The Mathematics and Operation of PageRank. This article digs deep into the complex math underlying Google's PageRank calculation. SEO Master Class: Choosing a Keyword-Rich Domain Name. This article describes how to craft a domain name that can help you win big in tough SEO markets. This article introduces a cool tip: how to use demographic data to "find the money."